Organized into three distinct areas and bordered by two major Queens green spaces, Forest Park and Flushing Meadows Corona Park, Forest Hills has tons to offer visiting families and residents. 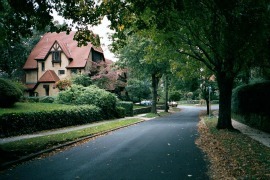 There are stunning mansions in the Forest Hills Gardens section, wonderful restaurants like old New York soda fountain Eddie's Sweet Shop, tasty stores such as Emily's Sugar Rush and Aigner Chocolates, and the historic Forest Park Carousel. Plus it's the 'hood where Spider-Man grew up in the comics! Our guide to Forest Hills includes the best places to eat, play and experience with kids so you can explore the area as a family.